Yesterday was a scary day for me and Melly. And for Coral, Sheldon and Elizabeth too. We were all scared and I was the one doing the scaring. Here’s what happened. Round about 4:30 pm, Melly came looking for me. I was sitting on the threshold of the back door, one of my favorite places. But I wasn’t right. There was something terribly, terribly wrong with me. I was shaking like a leaf in a hurricane and I looked like someone had poured a bucket of water over me that only got the ridge of my back wet and I was drooling a clear viscous liquid like a rabid rodent who was only drooling and not frothing. And I was breathing very quickly and very shallowly. Melly panicked! 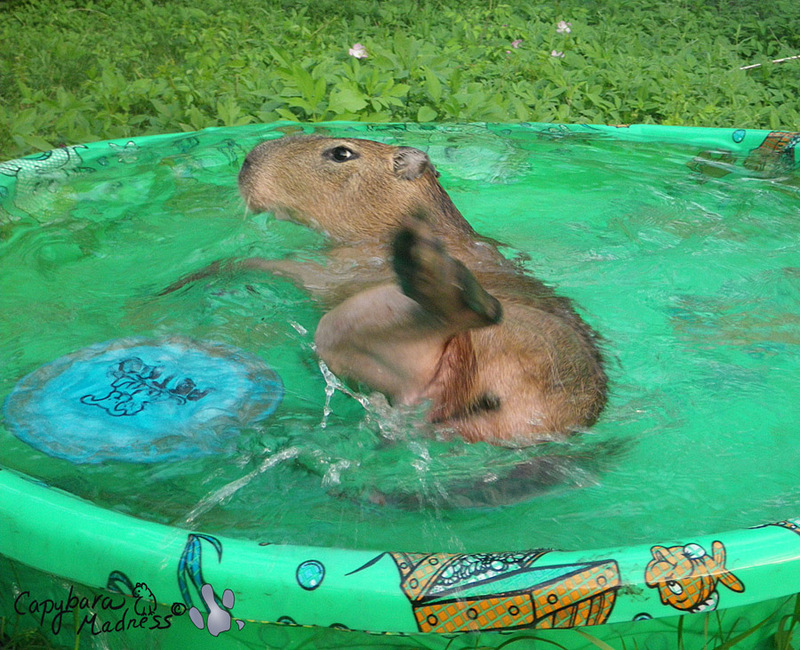 After what happened to Caplin Rous, she’s a bit paranoid when it comes to capybara health. She immediately decided that I needed to go to the vet. 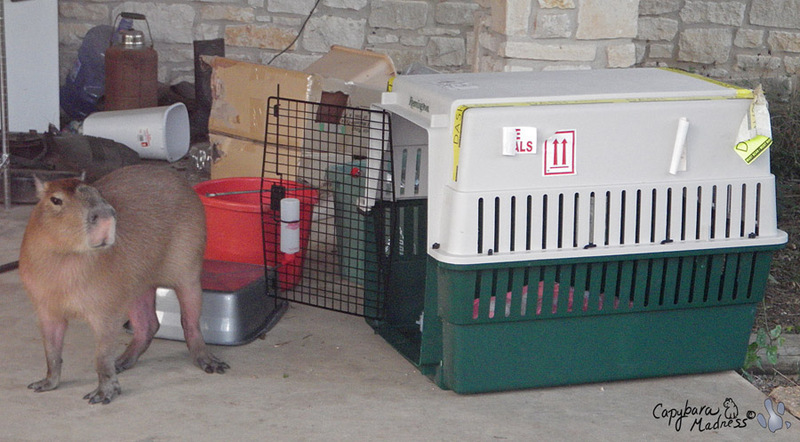 She didn’t want to take me all the way to the A&M vet school though because she knew the exotic animal vet (who is helping us set up the ROUS Foundation), was on vacation. So she decided I could go to the local exotic animal vet. While she was figuring that out, she called Sheldon but he didn’t answer his phone. Then she called Elizabeth who said she would be right over. Then she called the vet who said I had to get there within the hour. PANIC! I know I’ve been living with Melly and Rick for quite a while now (Rick was in Houston in case you were wondering), but I still am not good about the harness and the leash. And I wasn’t feeling well and I just didn’t want to do it. So Melly had to chase me all over the house trying to get the harness on me and I was struggling and shaking and hot and cold and wet and miserable and just not feeling up to the whole thing so… I kind of hate to admit this part. I hope none of you will think less of me. Remember, I was sick. I was really stressed out. And I hate the harness anyway. I guess I might as well come out and say it. I bit Melly. It wasn’t much, just a little nip. 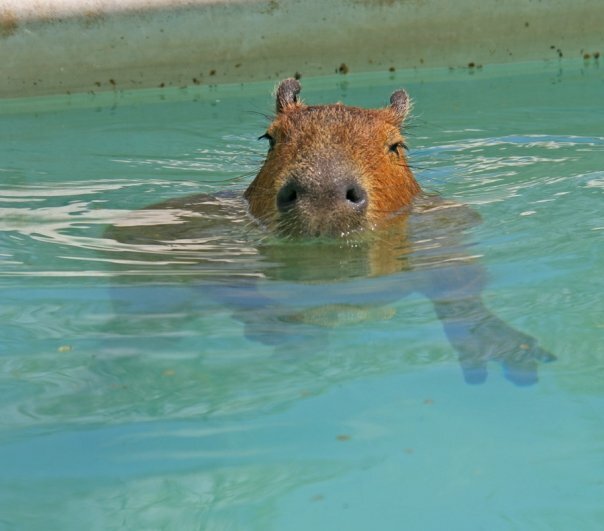 But capybaras really aren’t capable of giving only little bites. Our teeth are razor sharp and big as daggers (only not shaped like them). So the bite was still pretty bad and blood was everywhere and Melly had to stop chasing me and go bandage up her arm. I’m not proud of what I did, but you have to understand that I wasn’t myself. After that Melly decided that I needed to go in my crate. That’s the same crate I used to fly down here from Ohio. I went right in it so I don’t know why she didn’t do that to start with. Elizabeth came soon after that and they bundled me into her van and off we went to the vet’s office. It was scary in the van because my crate was rocking pretty wildly as Elizabeth went as fast as possible within the law (for the most part). I was ever so good at the vet’s. You won’t believe it but I let him listen to my lungs and take my temperature (and that was NOT pleasant) without biting anyone! They wrapped me in a blanket and that helped. And they kept me in the crate, just removing the lid. But the vet said my lungs were good and my temperature was 98.4! So I was normal. Only I wasn’t normal. I was still shaking and still sweating but now no one knew if that was because I was sick or just because I was nervous (hint: it was because I was sick AND nervous). The vet sent me home and told Melly to watch me and take me to A&M in the morning if I wasn’t better. At home I was still sick but Elizabeth and Sheldon stayed with us until it looked like I was starting to recover. Melly slept where she could check on me every time she opened her eyes. I didn’t eat much and I didn’t do much and I didn’t poop at all for a long time. Round about 4:00 am, I started feeling better. I ate my dinner from the previous night and I pooped a little bit. It took me all day to recover to my old fun-loving self. I’m okay now and Melly says she learned some important things. 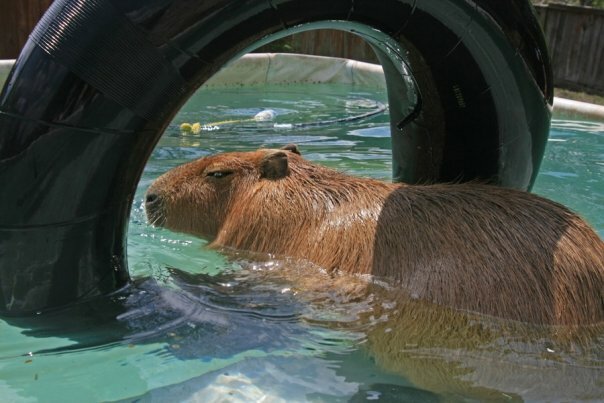 First that the local vet doesn’t know *anything* about capbyaras even if his name is Gary and second that when a capybara shakes, sweats and has rapid, shallow breathing, that means he is in pain! Melly figured that out for herself, the vet didn’t even say that. It’s a secret about why I was in pain though. I’m not telling anyone. This is me this afternoon. You can see I am recovered. 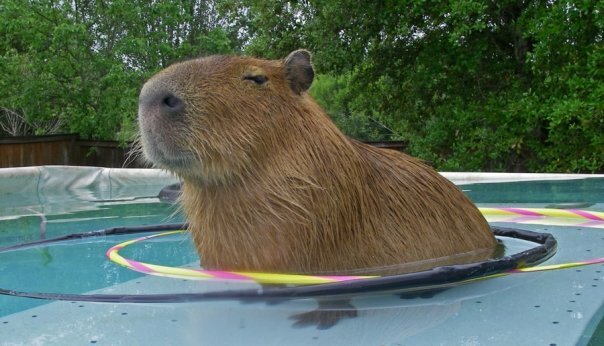 Do capybara’s have gas really bad? Could he have had some sort of tummy upset? Poor Gari! Glad you’re feeling better, but don’t give your mommy those sort of scares! 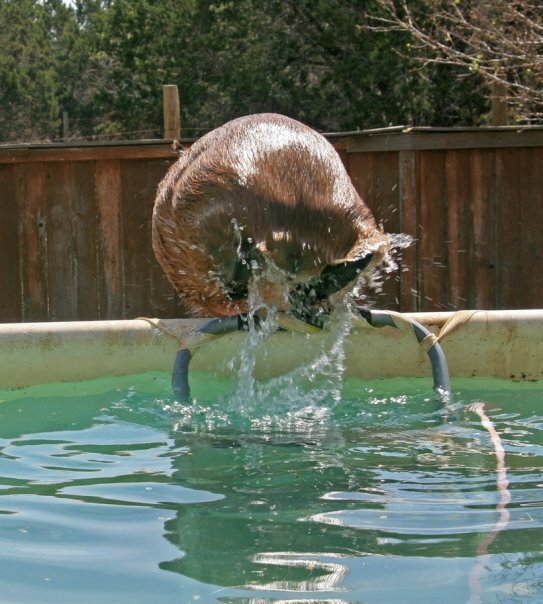 I posted on your facebook page…I was wondering if it was possible that you might have passed a bladder stone? If there’s a downside to having a beloved pet, it’s scary nights like these. I’m so glad you’re feeling better and eating your corn. I watched the whole video, by the way, start to finish. Nearly five minutes of chewing. That’s how relieved I was. So glad you are OK Gari. Whew! Well, at least it was “only” a scare. Glad you’re feeling better, Gari. I watched the whole video, too–you look like you’re feeling better. I know, I Know, you were scared and then you bit Melly–ouch, but that’s what animals do when they’re hurting. 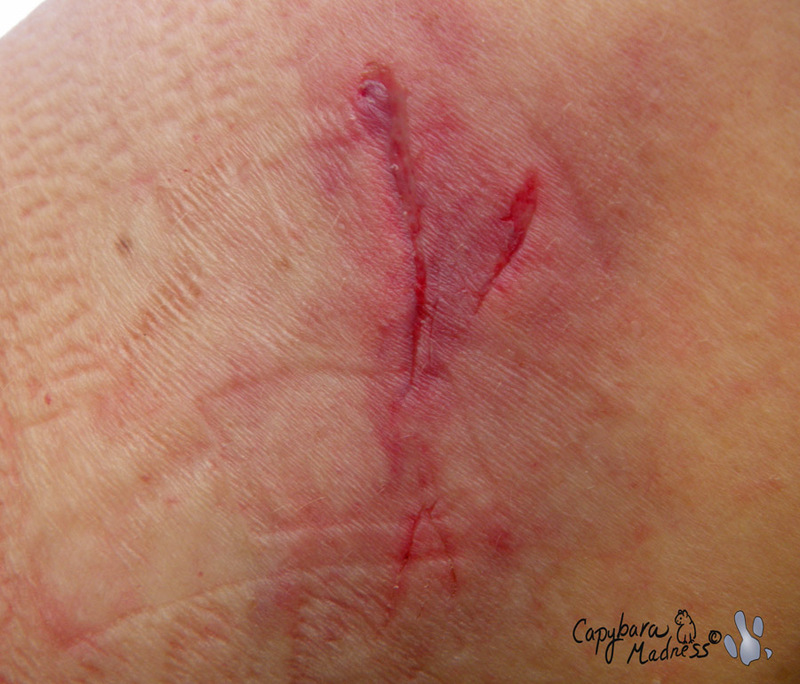 I know when I tried to recue my cat Popsicle when he got his leg caught–ouch–he bit me! I know you aren’t usually a biter, Gari. When you are already feeling sick and scared, it seems especially mean to have to put on a harness. By the way, can I have the rest of your corn? Gari! That corn looks delicious! So glad you’re okay!!! Glad your feeling better Gari!! But it would be nice if you at least told Melly what was wrong, so she can help you fell better…that’s not a good secret to keep Gari. I’m sure Melly has already forgiven you. Please no more scary situations. This made me cry but I am happy that you are feeling much better. Stay well. PS: that corn looks delicious! So glad you are feeling better! Sounds super scary! Congratulations to Melly for holding it together and taking such good care of you! I know that sick feeling you get when you see your sweet baby in pain and don’t know what is going on. I am so glad that you are feeling much better. Some exotic DR. do not know everything. Hope that Melly’s arm is better. The corn looks very yummy! What an awful scare. I’m so glad you’re feeling better. We pet parents worry so much about our babies!!! Was Melly’s ringtone an EEP??? 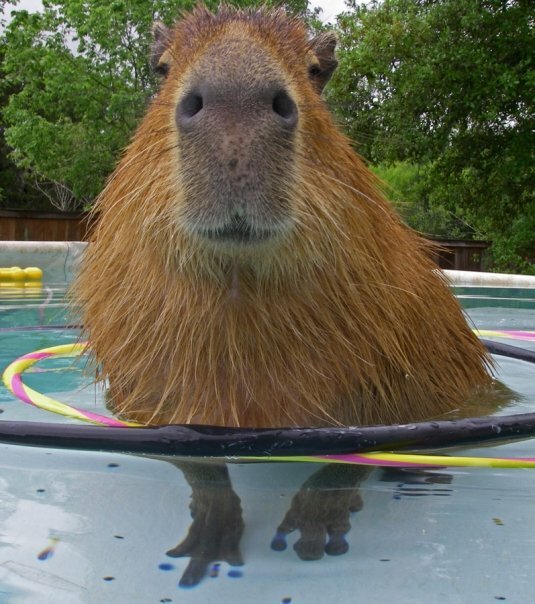 I’m still trying to decipher capy talk. Stay well sweet boy. We all love you!!!!!!!! In the picture of the bite, there is also something that looks like a robot face. Nice to know you re right now… what a bite! Well that was a very scary story!! I wonder if it was bladder stones? 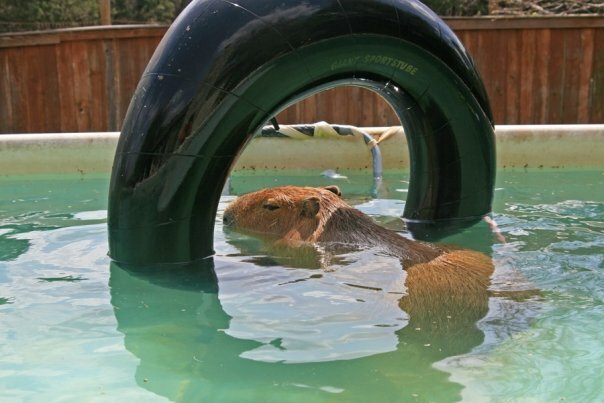 I hope the REAL capy vet finds a solution. Gari, was there something scarey out behind the fence? 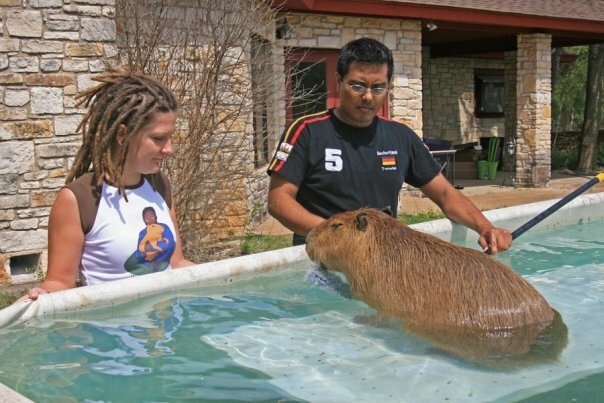 It’s odd that the reaction was similar to your reaction on the trip to the REAL capyvet. Maybe you just don’t handle stress as well as Caplin did. Miss Melly, some plastics don’t show up on x-ray. I hope he passed them already, not keeping them in the cecum. 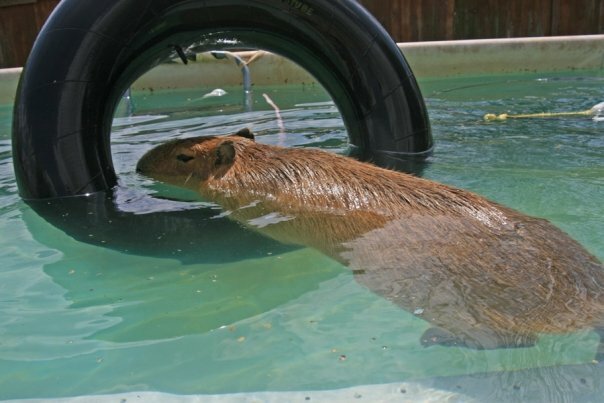 No idea whether capys can digest plastics. 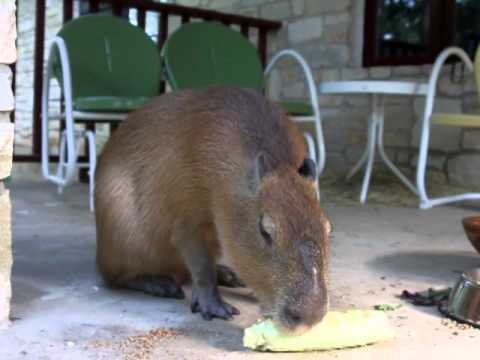 Capys can break down the cellulose in grass and corn husks so who knows. Please keep your body parts out of Gari’s mouth. MOL!!! Sisfurcat Chilipepper chomps like a shark when she upset. She is SKEERY. Nic, a dagger is a double-edged knife. I am just so glad you are doing ok!!! I can’t imagine if anything bad happens to you…. You better kiss up to Melanie and everyone that helped too!! but I don’t think any less of you, and I actually think we all learned a lot more about you because of that night!! you are just sooo cute and sweet… no one will ever think any less of you!! !